Courtesy of Berkshire Hathaway-FTC, Joy Ferguson. Fabulous Home. Remodeled Kitchen. New Wooden Floors throughout the main level. New carpet in Bedrooms. Open Floor Plan. Lots of Green Features. 5+ E-Star Rated. Anderson Windows. Appliances in Kitchen and Garage included. Luxury Master Bathroom. Country living at its best. 4+ horses. 2160 sq. ft. barn installed by current owners. Area outside of Barn designed for pasture control. Additional shed and loafing sheds. Fiber Optic Internet. Professional Appraisal Report available for review. 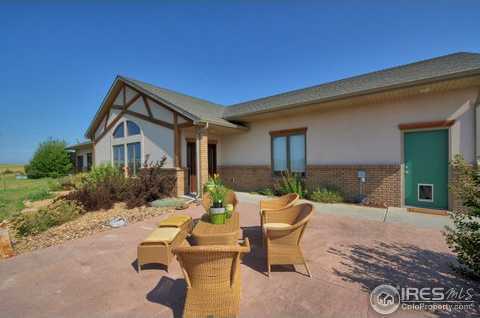 Please, send me more information on this property: MLS# 857969 – $694,000 – 49055 County Road 17, Wellington, CO 80549. I would like to schedule a showing appointment for this property: MLS# 857969 – $694,000 – 49055 County Road 17, Wellington, CO 80549.